In order to defeat his greatest foe, Destoroyah, Godzilla must use all his nuclear energy. From Medicom comes this Godzilla vs Destoroyah Desgodzi Sofubi Roar Version Vinyl Figure, featuring Godzilla as seen in the 1995 film Godzilla vs. Destoroyah. 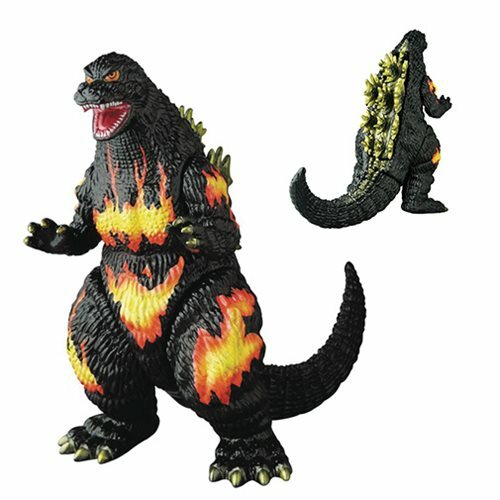 This awesome sofubi vinyl figure is crafted to capture his angry roaring face and painted to show a burning glow which is a result of his use of nuclear power. All serious fans of Godzilla should consider adding unique version of the King of Monsters to their collection. Ages 15 and up.